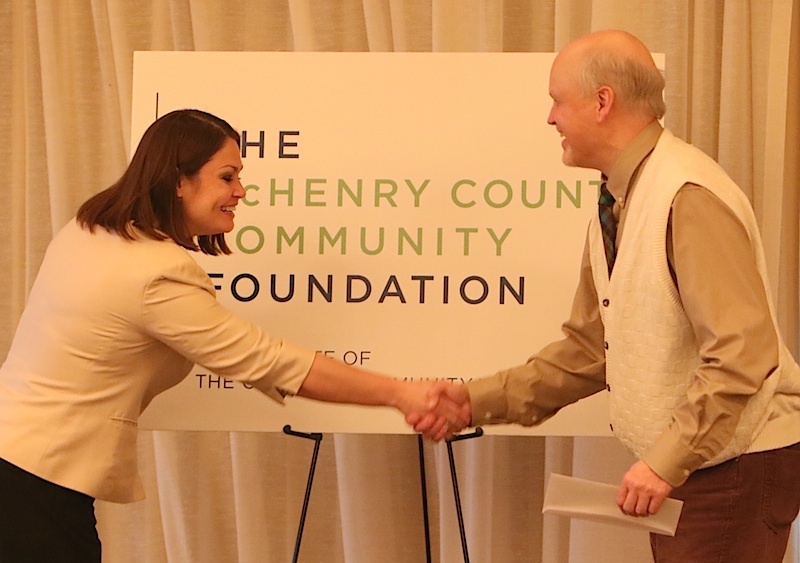 The McHenry County Historical Society & Museum was among 20 organizations receiving a combined $250,000 Thursday, March 26, from McHenry County Community Foundation. 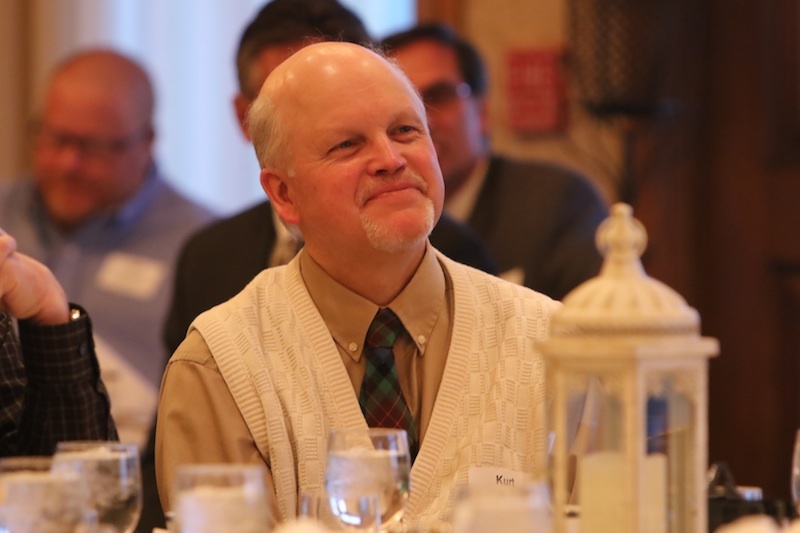 Organization, pursuing projects in education, the arts, economic development and the environment gathered Thursday morning at Boulder Ridge Country Club for an awards breakfast. It featured keynote speaker the Rev. Pete Imiah, president of UKANDU Missions and 28-year coach, counselor and mentor. He spoke about empowering youth to achieve their dreams and positive impact on the world. The historical society received a $10,000 Community Foundation award for two summer internships and a $4,200 library technology grant from the James & Karlen Cooney Family Fund, thorough the Foundation. Pictured with Foundation Vice Chair Carolina Schottland (center) are Society Administrator Kurt Begalka and Mary Ott, vice president of the McHenry County Historical Society board. Special thanks to the McHenry County Community Foundation and to Kent and Melissa Cooney. The funds will be put to great use!